This week we have started completing OWIs to give us a better understanding of books we read. We have used images to help us understand how an OWI works. I = Make an Inference to answer your question and try and include some evidence. For this week’s homework you will use the image below (which we used for our 100 word challenge on the ferocious wind) to complete an OWI. Your work does not need to be presented in a table. You can write a comment on the blog or on a piece of paper and explain a key observation from the image, your thick question and your inference with evidence. Your homework will be due on Friday the 24th of July. Next Next post: Completing an OWI from a text. Wonder: Is the wind farm abandoned. Infer: I infer the wind farm is abandoned because it looks dirty and If it want abandoned because somebody would be standing outside in the ferocious wind. I wonder what is it. I observe that the ferocious wind is angry. I wonder why it is angry. I infer that it is angry because it is winter. Observe = I can see a ferocious wind because there is a bunch of sand and it is shattering all of the buildings. Wonder = How did the ferocious wind start? Infer = I think the sand storm is destroying everything in its way. It is shattering everything in its path and it is destroying. I can see humongous dust clouds coming towards us. I think it was caused by a powerful storm that has gathered up all the air to form ginormous dust clouds. I can see enormous dust clouds raging towards me. I think it was caused by a furious wind that gatherd up all the dust to form a dust cloud. I obsevere a humongous storm coming. How did the humongous storm clouds find us? I think all of this was all because of the ferocious wind. 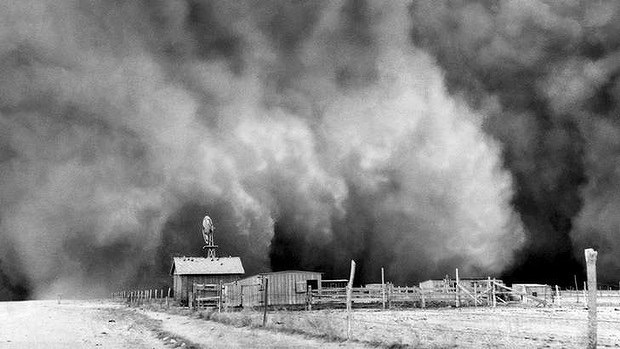 I observe: a big dust storm on a farm. I wonder: is it dangerous and if people are there. My inference: the wind is blowing the dust and if there are people they will be safe inside until it finishes. I=I infer that it is a dust storm because you can’t see nothing. I observe:a massive storm with a lot of dust to. I wonder: If there is some people outside? My inference: The wind will blow the house down. I wonder if the wind will take me away. I can see the wind and the wind it to big. I can the water coming out and the water took the track over. W. How did it happen? I. It was caused by a fire because it looks like smoke.